PayPal offers great fundraising solutions. 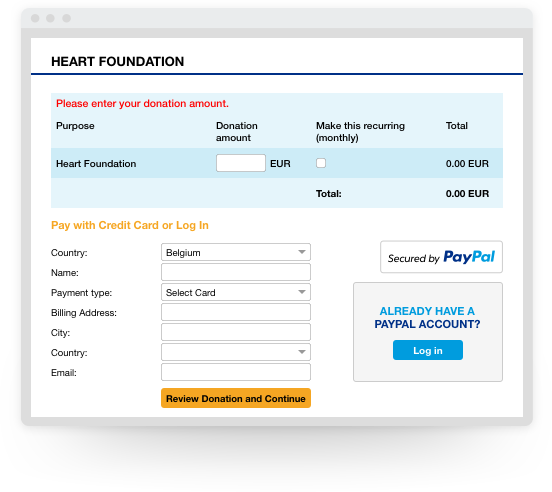 Collect donations from all corners of the world the easy way, by adding PayPal to your website. Accept PayPal and all major credit cards in 25 currencies. We’re available in over 200 countries and markets, with 179 million active users, making us the perfect partner for your global campaigns. 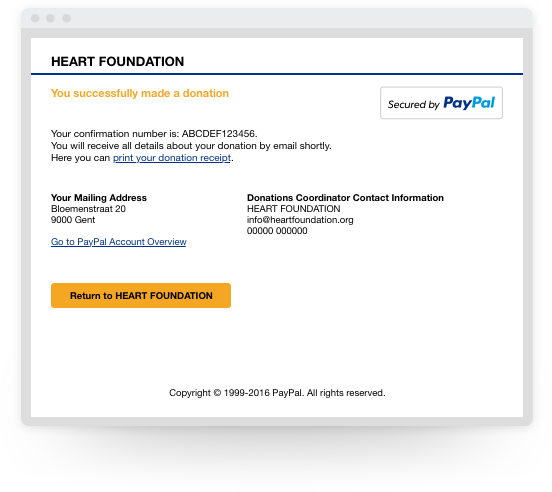 With PayPal, all it takes for your donors is one click to make a donation on your fundraising page. No need to wait to access your funds. PayPal donations will come into your account almost immediately. 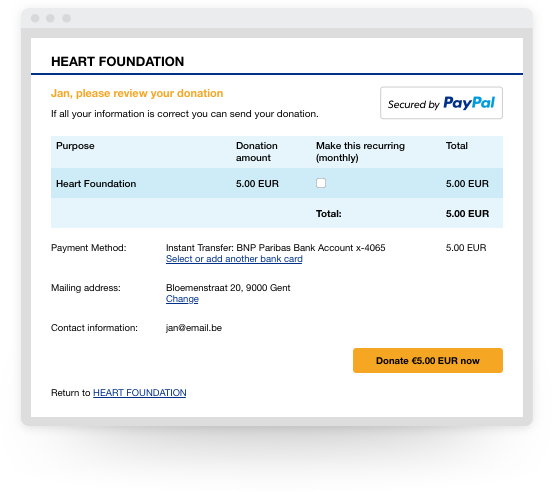 PayPal donation buttons are automatically generated and localised and are easy to add to your website. Offer donors, sponsors and members the option of regular debits from their PayPal accounts on set dates. Define one-off payment amounts or let givers decide. Our automatic fraud screening helps protect your organisation and those who support you. And we’re PCI compliant, making it easier to meet those standards. 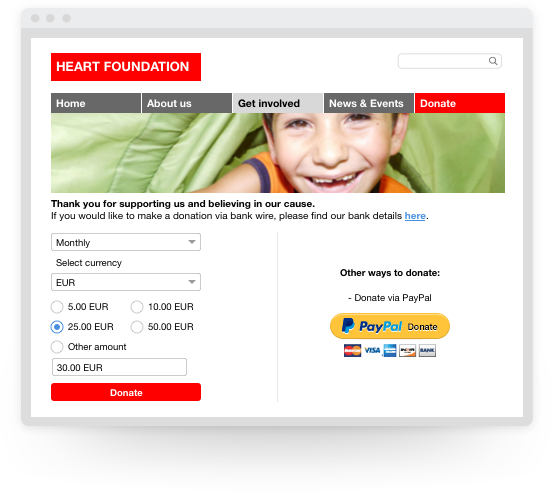 They make a one-off payment, or subscribe to regular donations, by logging in to their PayPal accounts or entering their card details. They review and confirm their gift and billing details. Sign up for a PayPal business account then contact our payment specialists. Benefit from our discounted charity rate by registering as a not-for-profit organisation. Add our popular ‘Donate’ button, or ‘Subscribe’ button, to your website. Simply copy and paste a few lines of HTML code.